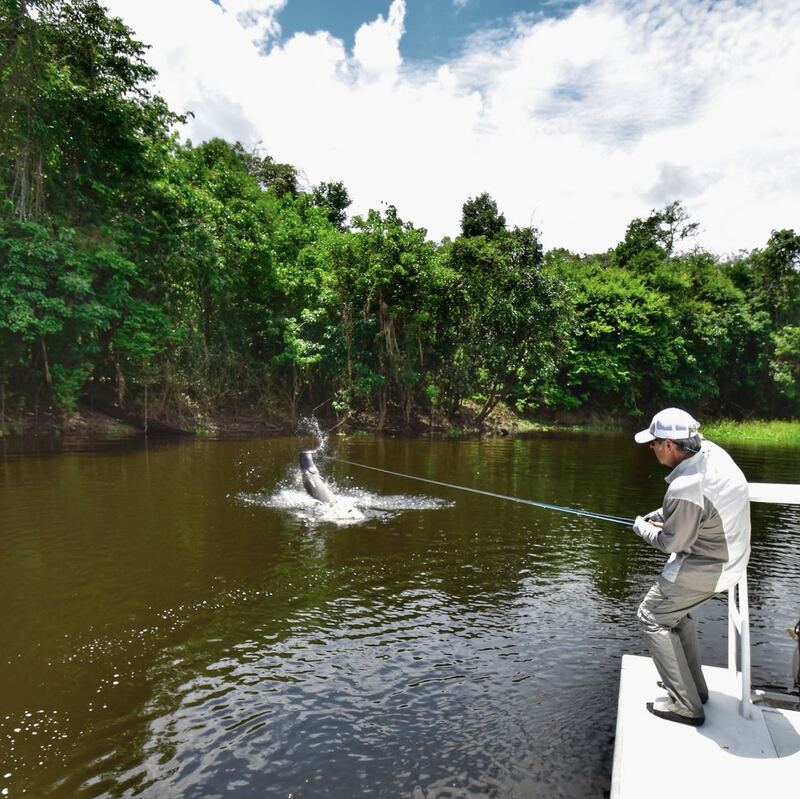 Chilean angler Jorge caught two huge arapaima in one morning, and one of them was the biggest fish of the week, measuring almost two meters! The water dropped very quickly, and the action increased considerably. 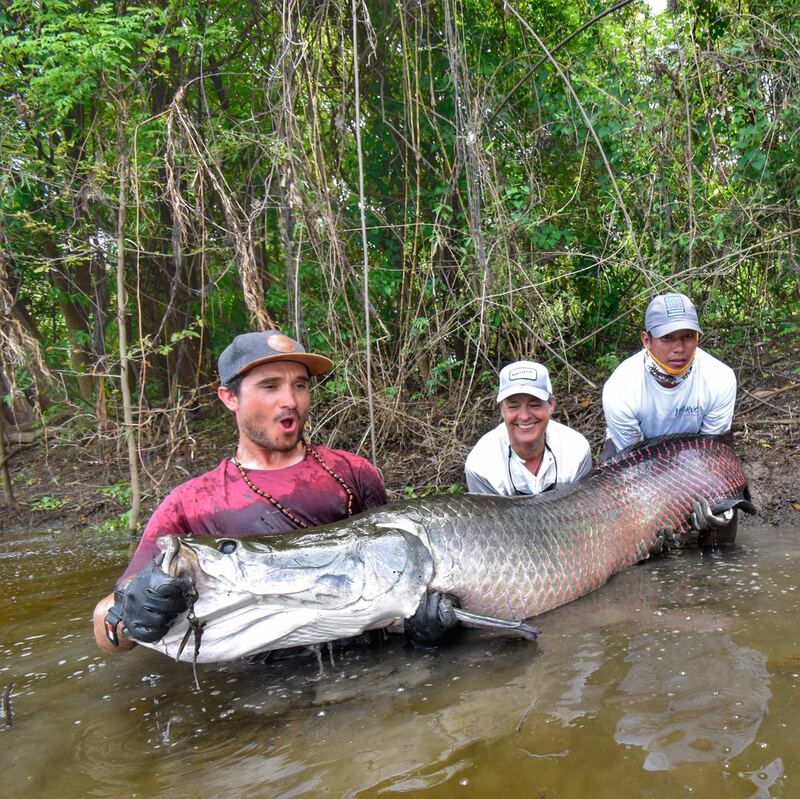 José David Bravo and Nico had a Pirarucu Grand Slam: arapaima, arowana and tambaqui!